By Peter Anderson 3 Comments - The content of this website often contains affiliate links and I may be compensated if you buy through those links (at no cost to you!). Learn more about how we make money. Last edited June 16, 2014 . If you're ever looking for a place to lose a couple of hours, Quora is a good place to go. It's a site where people ask questions, and then get answers from experts on the subject. For example, I remember one question I recently read where someone asked what it was like to serve a life sentence in prison, and there were promptly several detailed answers from ex-cons and convicts alike. Another person had asked what it was like to live on earth after living in zero-gravity, and an astronaut who had lived on the space station promptly chimed in with a detailed answer. This past week I was perusing the site when I saw an interesting post asking the question, “how did you make your first million dollars?“. I thought some of the answers were very interesting, and provided some good advice to others as they endeavor to earn and save 7 figures. How Did They Make Their First Million Dollars? 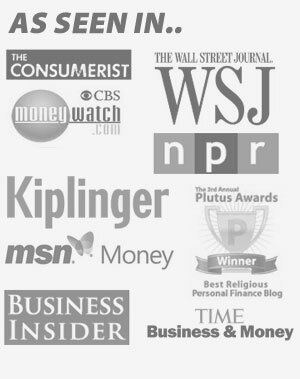 There were quite a few interesting stories from people who had achieved a net worth of over a million dollars. Their stories were varied, and go to show there isn't one way to make a million dollars, but many ways. Here are a few of the stories I read – click over to the post to read more detailed versions. Blue collar worker who started his own business: Another story was related by the nephew of one gentleman who succeeded by outworking everyone else. He started out working 90 hours a week at 3 blue collar jobs. He saw where certain companies had a need, and branched off and started his own company, doing the same things he had done 90 hours a week. He succeeded through hard work, generosity (always going out of his way to help others) and because he enjoyed working – in order to help others more. The answers go on from there, but there are lots of interesting stories if you have some time read them. So what are some things we can learn from these millionaires? Here are a few things I keyed on from the thread. Be strategic about your career: Time and again we see the people who have been successful being very strategic about their careers. They choose career paths that they know will be high paying, they avoid schooling if it isn't needed, or they find ways to be in the right job at the right time in order to be the most profitable for them. Work harder than others are willing to: From the blue collar worker to the software engineer with a side income to the restauranteur working long hard hours, they were all willing to work hard to achieve their goals. They were very motivated and very willing to work hard to get what they wanted. Be willing to delay gratification: Time and again you hear the stories of how they didn't spend a lot of money on things for themselves or buy expensive things that were above their means. Yes, sometimes they spent money but for many of them they were more than willing to delay gratification for the furtherance of their long term goals. Good at taking advantage of opportunities: They were very good at preparing themselves and being ready for when an opportunity presented itself. If an opportunity didn't present itself they were good at finding and creating an opportunity. Spend below your means: As a group they were all able to spend well below their means, save a large percentage of their income and not buy a bunch of toys that they didn't need. They were able to find fun and hobbies that didn't cost an arm and a leg. They play great financial defense. Focus on increasing your income: While they spent below their means, they also were very good at finding ways to increase their income whether it was through increasing their knowledge, certifications or qualifications, or by finding new or innovative ways of making money. Having millions won't make you happy: Time and again in the posts I read about how many of these millionaires found that wealth didn't make them happy – and for many of them having money wasn't the end goal. For many of them just the pursuit of and the game of making money kept them interested, and only things like family, faith and giving to others were able to make them happy. How Long Until Your First Million? Making a million dollars isn't something unattainable, and just about anyone can do it even if they don't make a huge income. It all comes down to living your life in a way that promotes growing wealth, and not in a way that is above your means and subsidized. 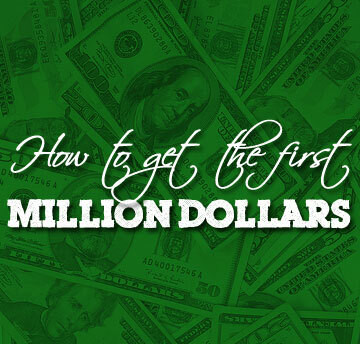 Want to figure out how long until you make your first million? Check out the calculator below. A good collection of feedback Pete. Seems pretty straight forward with no magic bullet. Joining a startup that hits helps! I also like how there are plenty of millionaires in their early 30s. Stealth wealth and much more money out there than we know. Can you share with us how you got to millionaire status? Great article and tips…having just accomplished that milestone, I have to say that the advice you’ve gather are spot on. Thanks for sharing. Many will surely benefit from this information. you know i never ever read any of these websites, but im torn apart by heart and very quickly loosing my beautiful family to not having any money to make money and has driven me into bad depression even though i fight it everyday and try to remain positive it hurts to know im failing and will lose soon if i dont come across money quick. I believe life should be about one another helping each other when in need of help to live the best most confortable lives we can live rather then greed and everyone trying to be richer than their neighbor. I used to have my own business with a few k’s in the bank with a lot of property. last year 2017 idk how exactlty it all happened to it really felt like it was pure 100% bad luck. i lost around 10 vehicles all my friends my family trying to get get my cars and my business van runnin. my mom has stage 4 cancer terminal cancer and hate to watch her watch me sufer daily. i have always helped others cuz i know how it is to be ignored, being a mexican 27 years old people dont show much love nor respect always downgrading , is there anywhere i can ask for with money as a donation to me ? it causes tear drops with soo much par its very hard ti ask anyone or who ecen has money on my side.